DARTMOUTH, Mass. 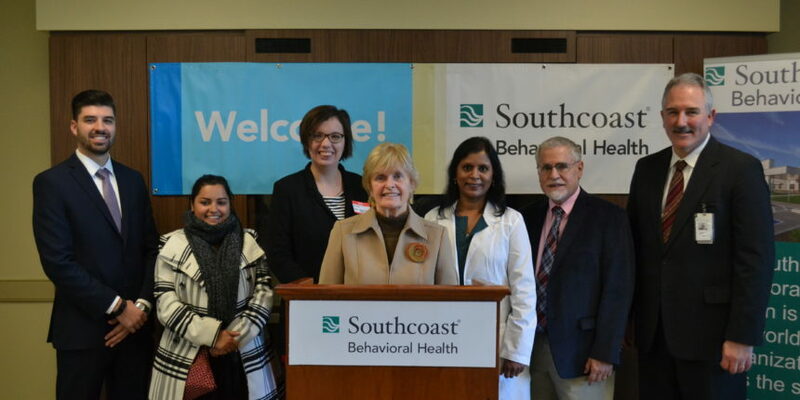 — To address a chronic lack of mental health services for adolescents in Southeastern Massachusetts, Southcoast Behavioral Health has opened a 24-bed psychiatric unit and will be opening an outpatient treatment center for adolescents ages 13 to 17 pending approval by the Department of Public Health’s Bureau of Substance Abuse Services. The unit and treatment center will be located within the 120-bed psychiatric hospital that Southcoast Behavioral Health operates at 581 Faunce Corner Road, North Dartmouth. The new adolescent wing was unveiled to the community Dec. 9, 2016. “There is a statewide shortage of placement options for adolescents suffering from psychiatric disorders,” said Kevin Burchill, CEO of Southcoast Behavioral Health. “Each year, hundreds of adolescents across Massachusetts end up in the care of acute care hospitals that lack both the space and the specialized staff and services to treat them. The unit will have a staff of clinicians in a number of behavioral health and substance abuse disciplines, including child and adolescent psychiatrists to treat adolescents. Patients who are discharged from in-patient stays will be able to receive services through the unit’s outpatient center. “Ensuring our patients receive the highest quality of care close to home is central to our mission. Families and patients should not have to travel long distances to find top-quality treatment options,” said Burchill. “The good news is that because their brains are still developing, adolescents are usually highly receptive to behavioral therapies that can benefit them throughout their lives,” said Burchill. The need for adolescent psychiatric care is acute and growing, especially in greater New Bedford and Fall River, where thousands of children living in low-income homes suffer from mental health disorders that are left untreated. Untreated mental health problems often lead to poor school performance, chronic absenteeism, school dropout, strained family relationships, involvement with the child welfare or juvenile justice systems, substance abuse, risky sexual behaviors and suicide. Almost 70 percent of children in the state and local juvenile justice system have a diagnosable mental health disorder, with at least one in five experiencing symptoms so severe that their ability to function is significantly impaired.